However, just throwing some flower pots and candles together can look pretty sketchy, and that's where Ben Galt comes in. 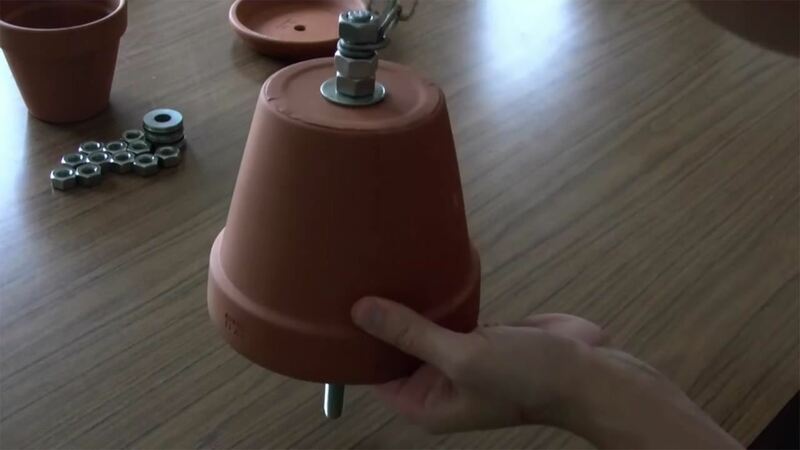 He put an elegant twist on the cost-effective flower pot heater with his decorative and inexpensive DIY design seen below. Just keep in mind that this will not heat your whole home and works best right next to you, though, you will notice an overall temperature change in the room after an hour or so. You'll need everything you see below to make one pot-heater, so double-up if you intend to make two of these bad boys as seen in the video. As for the tea lights, make sure the wicks are lead-free, and if you're worried about the toxicity of burning candles all day long, try upgrading to paraffin-free tea lights, like ones made of beeswax or vegetable-based waxes, which are nontoxic. Screw in two nuts an inch away from the end of the rod. Two nuts screwed in the opposite way will ensure a tighter lock. 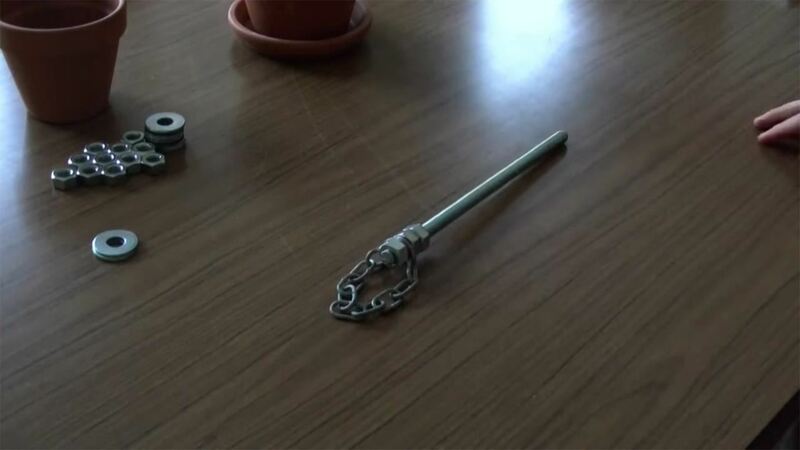 Thread the two ends of the chain on the rod, creating a loop, then secure the chain in with another nut on top. Make sure the two nuts are twisted in opposite directions. 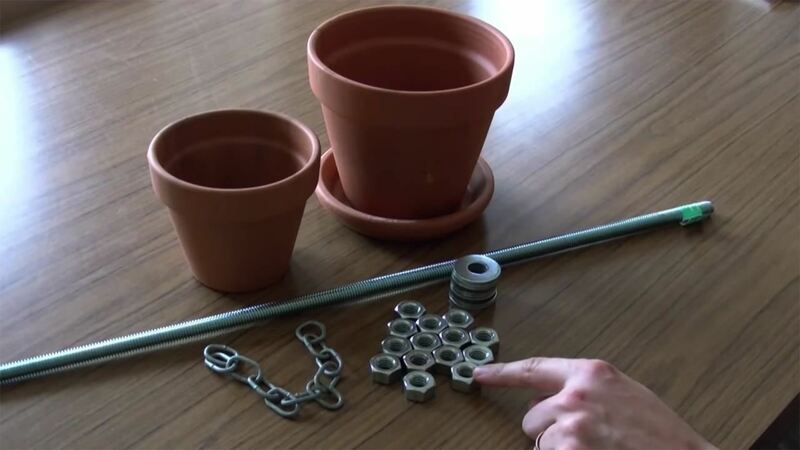 Slide a washer on the end of the rod, then slide it through the bottom of the 6-inch pot. Add another washer to the inside of the pot and screw in another nut. Add yet another washer followed by the 5-inch pot. 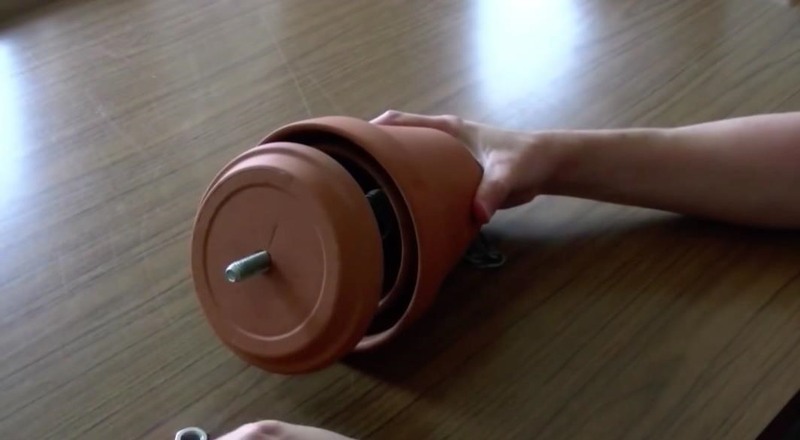 Just like the 6-inch pot, be sure to add a washer after, but this time screw in two nuts, creating a tighter lock on the other side of the pots. Add another washer and another nut—do this six times. The more metal, the warmer the heater! 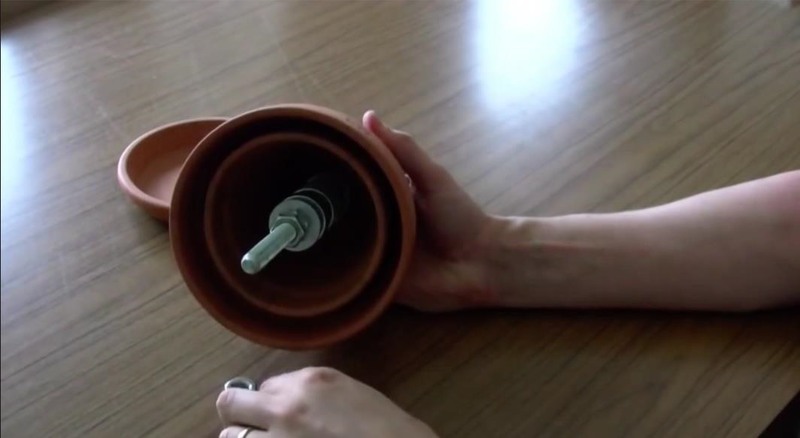 Drill a hole in the planters base, then add the base to the rod, making sure the base is faced in the direction where it can hold candles. Add a washer and screw in the last nut. Add four candles or tealights into the base and voilà! You can adjust the bottom washer and nut according to the size of your candle. 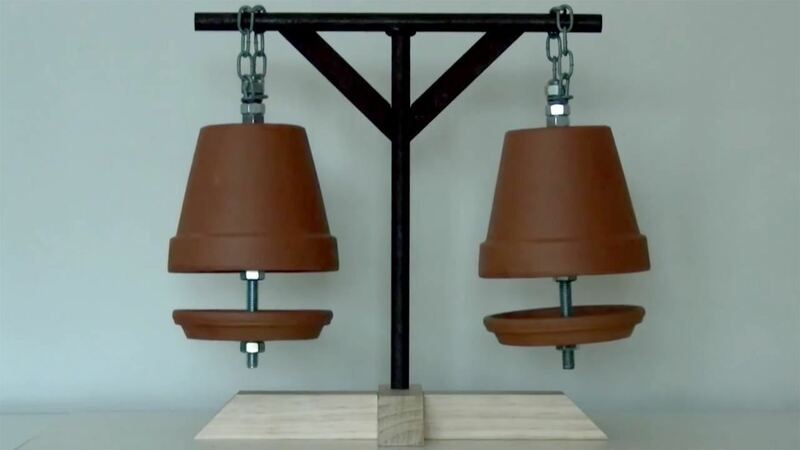 You can hang the pot on the ceiling, microphone stands, plant hangers, or make your own stand. Light the candles and enjoy the heat!